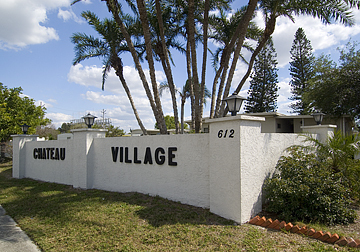 Located in the heart of Bradenton, Chateau Village outshines all the surrounding parks. Our lush green yards are evidence of a community where residents exhibit great pride. With 40 beautiful acres, this 55+ community is a wonderful place to call home. Residents enjoy amenities like a clubhouse, a heated pool with restrooms and showers, shuffleboard courts, and a horseshoe pit. Each month, a variety of planned activities from coffee socials and potlucks to shuffleboard and craft groups keep residents entertained. Tucked away in our community are 14 RV sites offering full hookups. Some seasonal RV guests return year after year to enjoy the camaraderie with Chateau’s residents. If you bring along a recreational vehicle or boat, we offer storage for a small fee. Whether you decide to become a resident at Chateau Village or just visit, you’ll be glad you did. 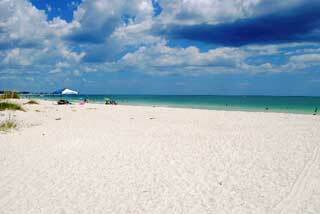 Bradenton is an exciting community with beaches, museums, state parks, shopping, dining and so much more. Plus you’re close to Sarasota, Tampa, St. Petersburg, and Clearwater, where you’ll find tons of fun, unique and wonderful attractions.